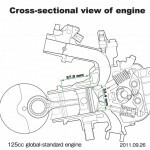 Honda announced it is developing a new 125cc scooter engine with an idle stop system promising 25% better fuel economy than existing engines. 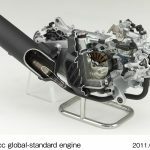 The announcement comes alongside the announcement of a new 700cc engine which will be introduced with the Honda Integra scooter. 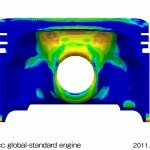 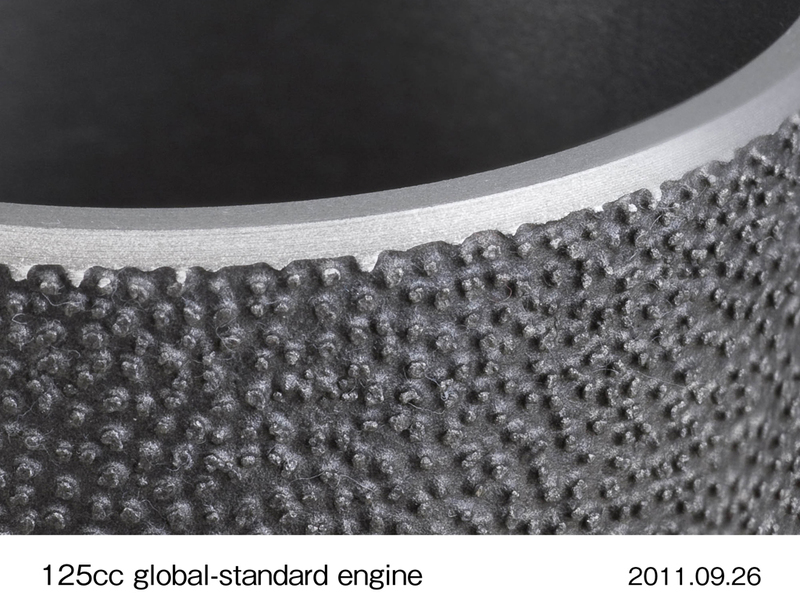 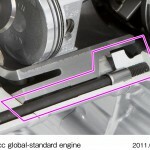 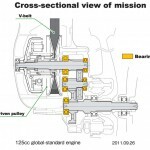 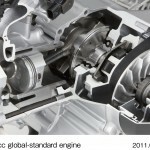 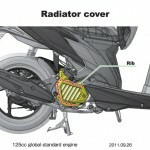 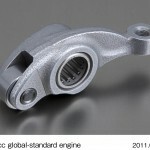 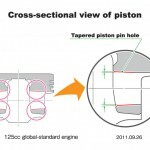 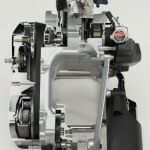 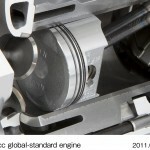 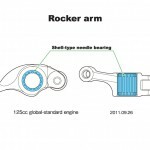 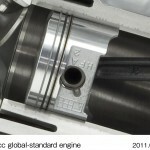 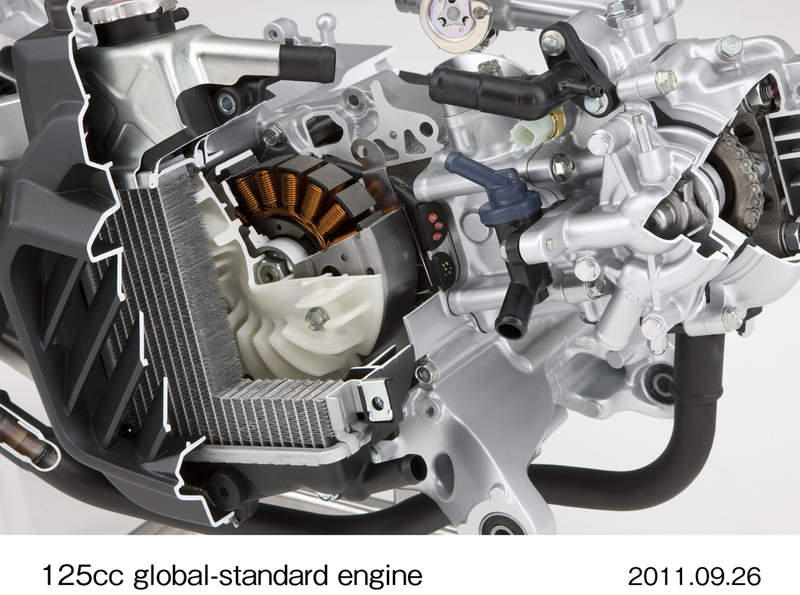 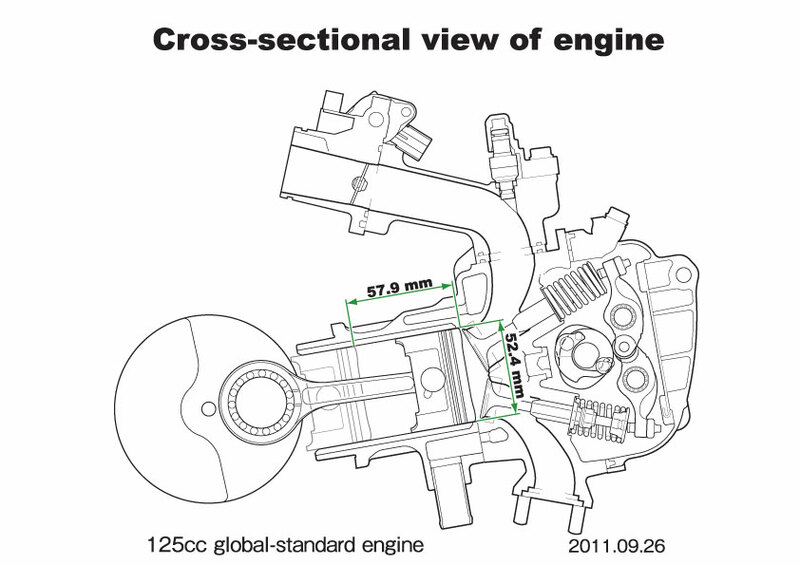 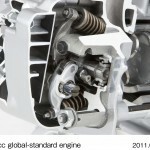 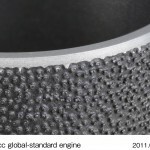 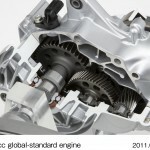 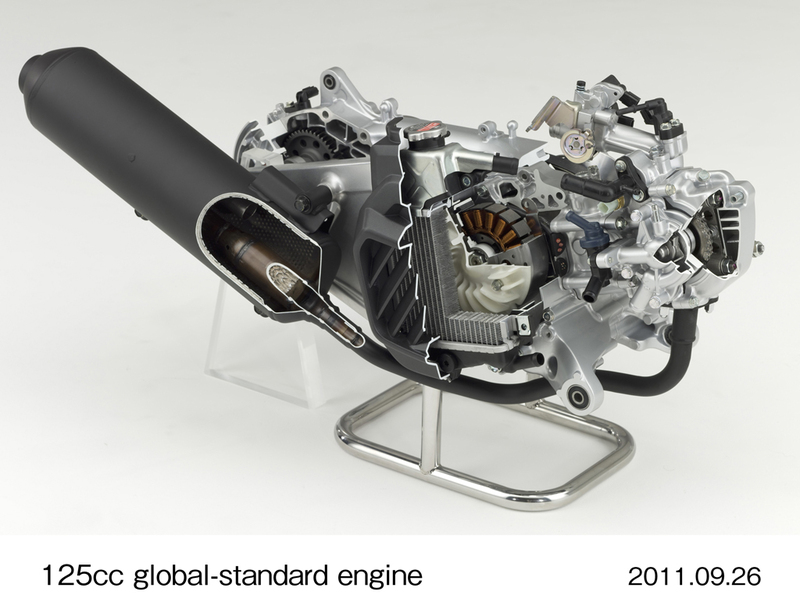 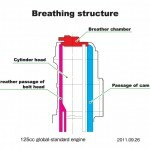 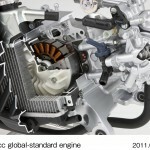 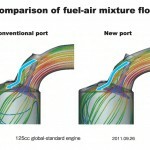 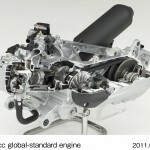 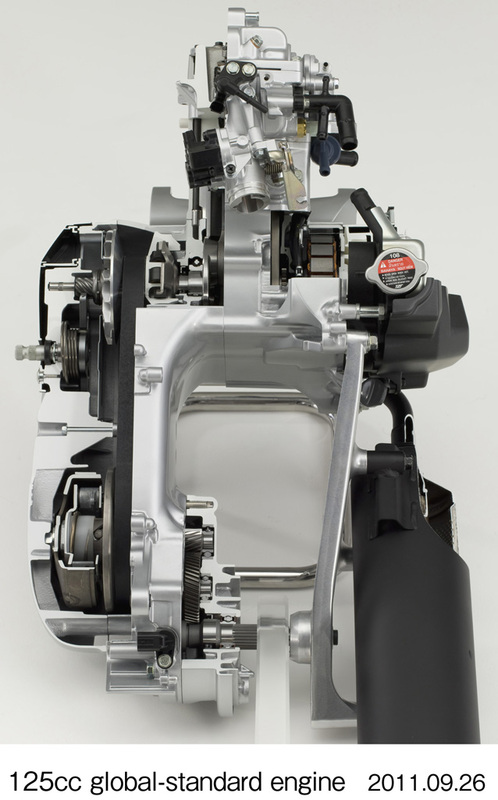 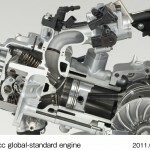 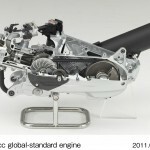 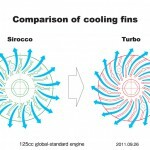 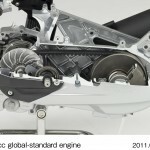 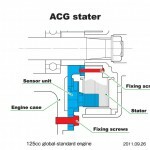 The new engine will be introduced in a variety of scooter models around the world in 2012. 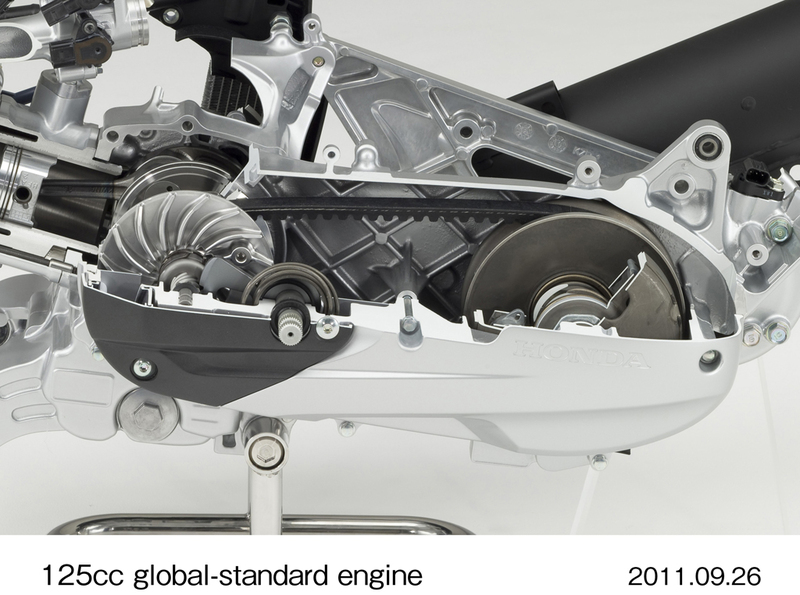 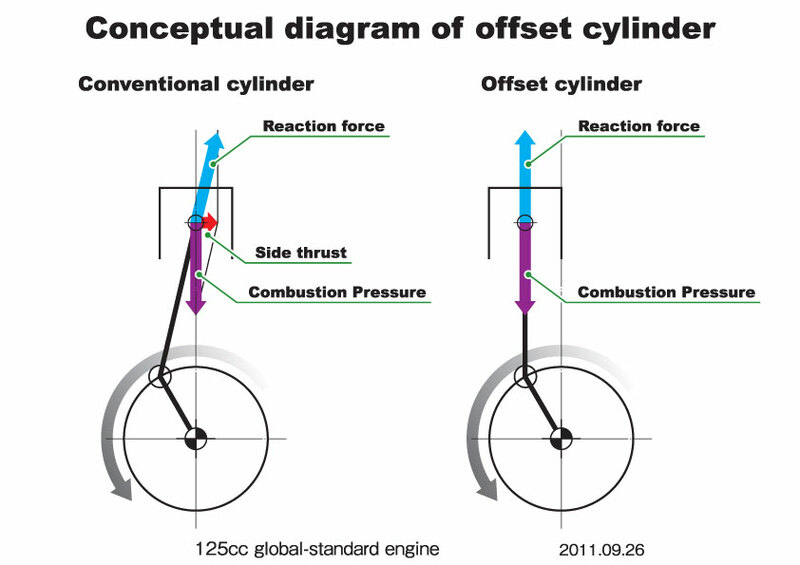 Honda incorporated several concepts on the new engine to reduce friction and improve fuel efficiency, including some introduced with the Honda CBR250R engine. 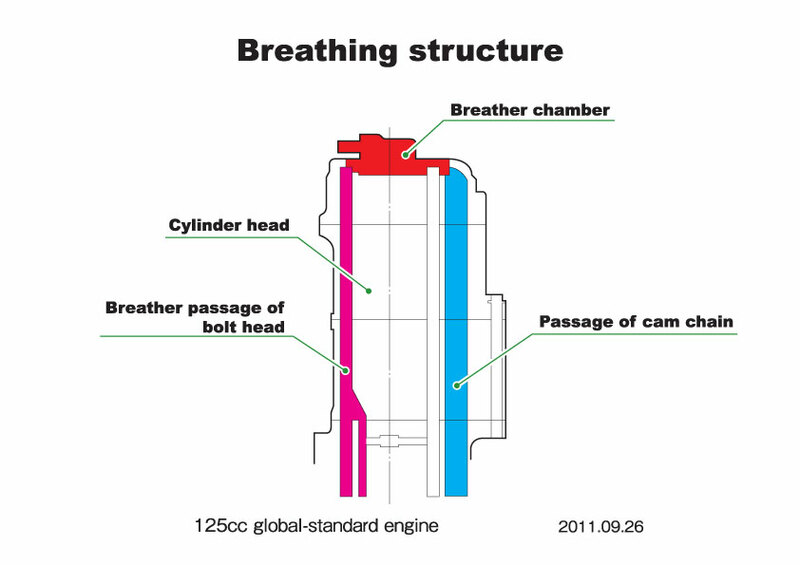 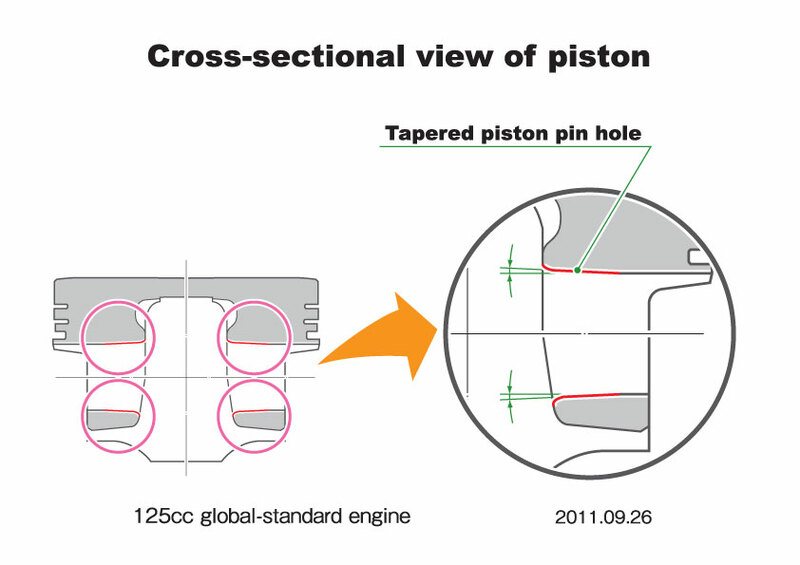 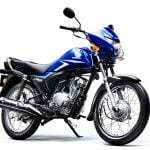 The new 125cc single-cylinder is offset, as it is in the CBR250R’s engine, to reduce the friction between the piston and the cylinder wall. 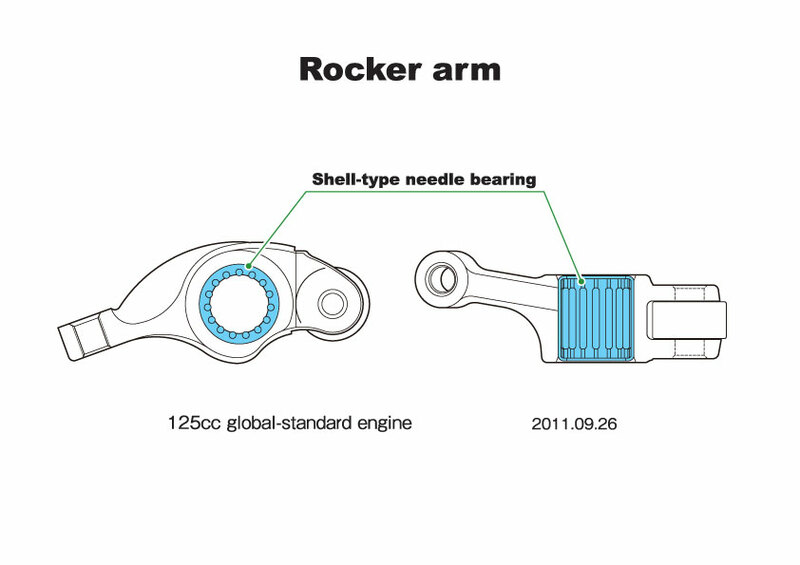 Also like the CBR250R engine, the new scooter engine has a spiny cylinder sleeve to improve cooling while the valves will be actuated by roller rocker arms. 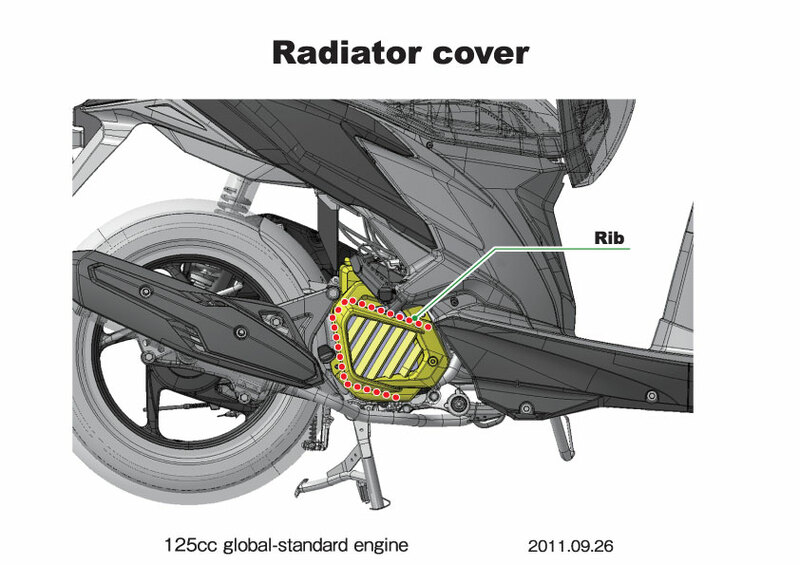 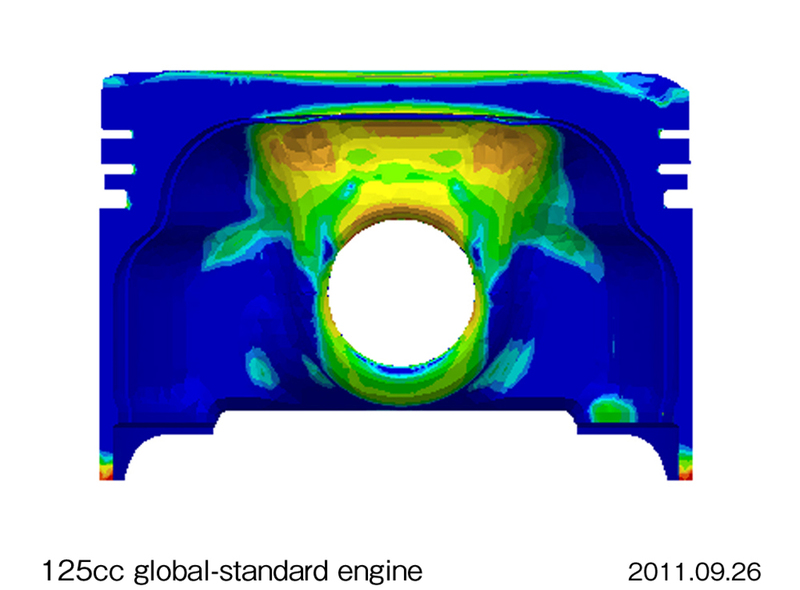 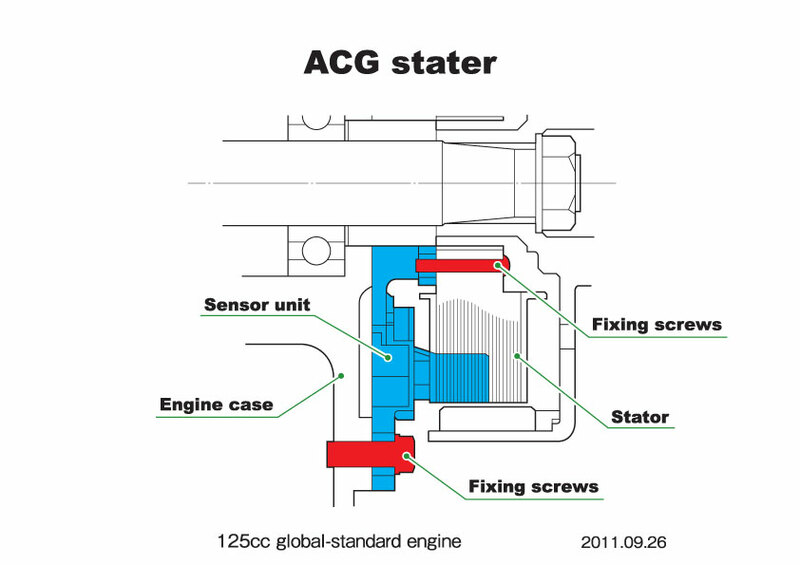 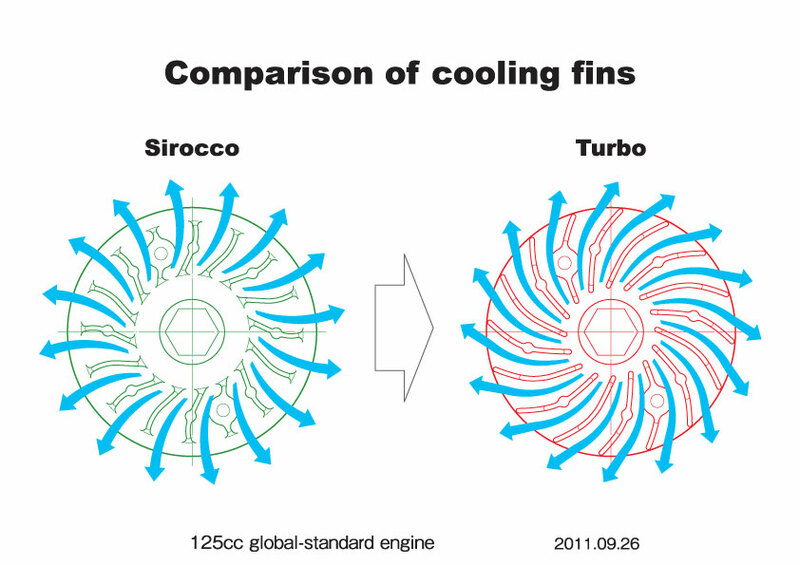 A more efficient radiator allowed Honda to reduce the size of the cooling fan and reduce friction loss by 30%. 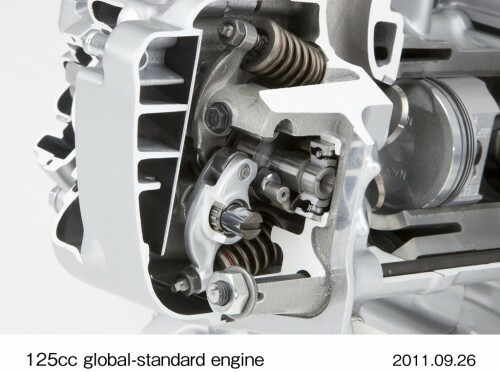 The new engine will use an idle stop system which shuts the engine off after a few seconds at idle before restarting at the twist of the throttle. 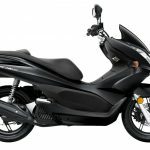 Honda first adopted idle stop in the European-spec version of the PCX 125 scooter, though the technology was not adopted into the North American version. 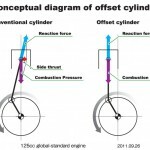 With this new engine designated for a “global rollout”, it’s likely we’ll finally see idle stop systems on future Honda scooters on this side of the Atlantic. 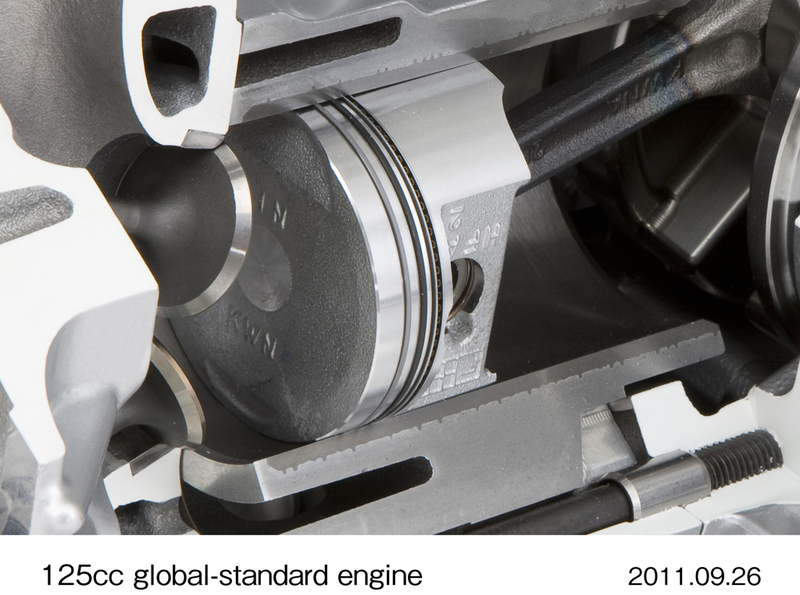 Other engine improvements include a lighter piston design, a smoother air intake port connection and optimized ignition timing. 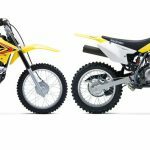 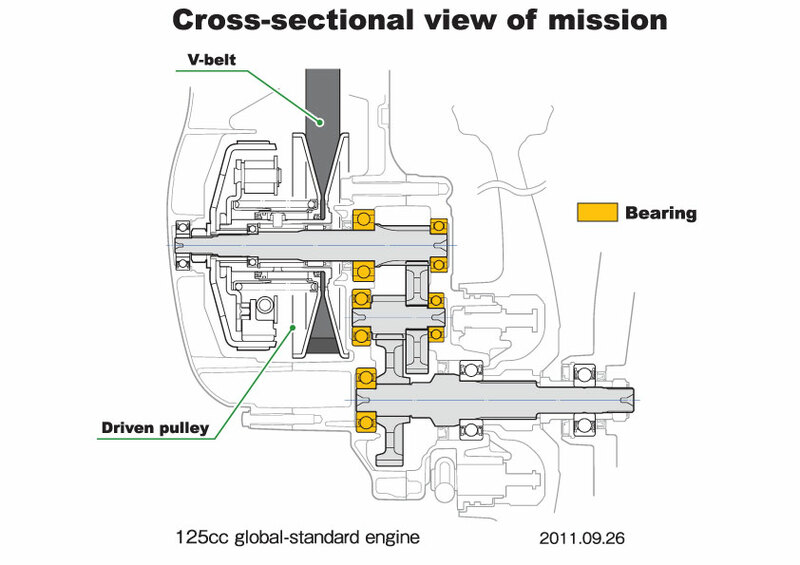 The engine will be paired with a wide-ration continuously variable transmission with a high-elasticity rubber drive belt. 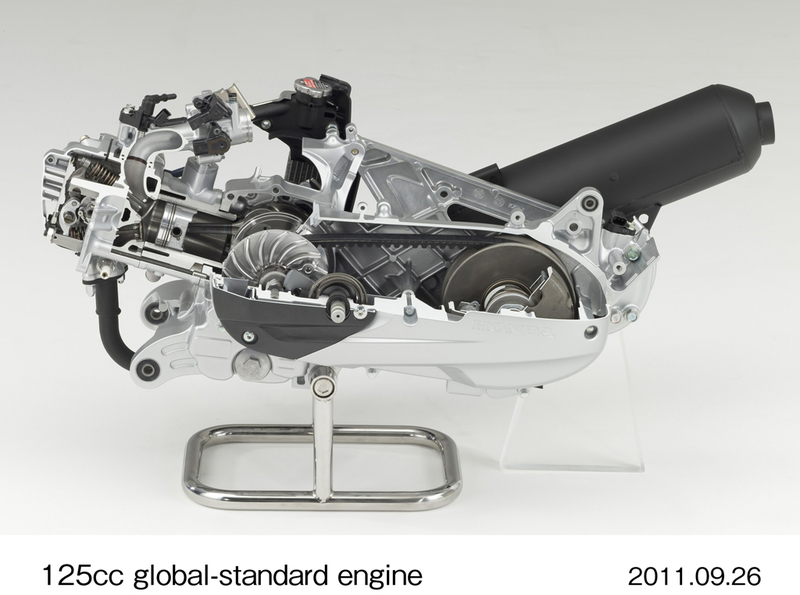 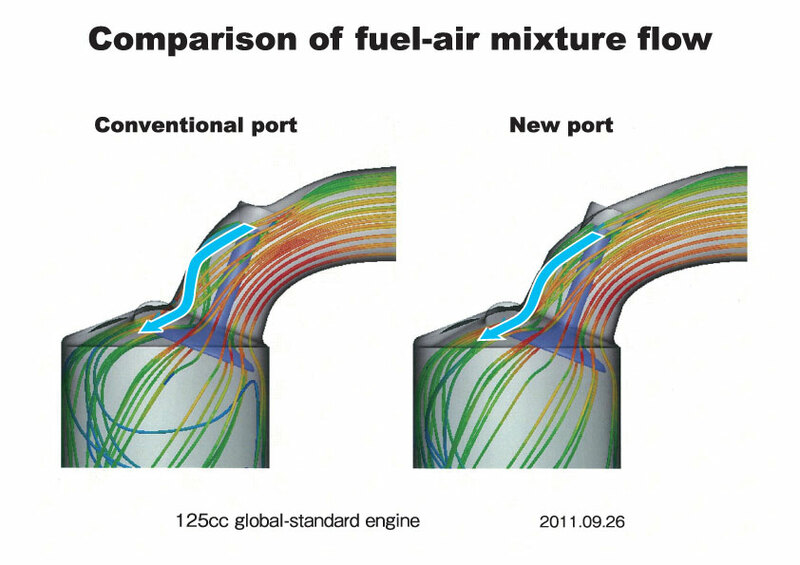 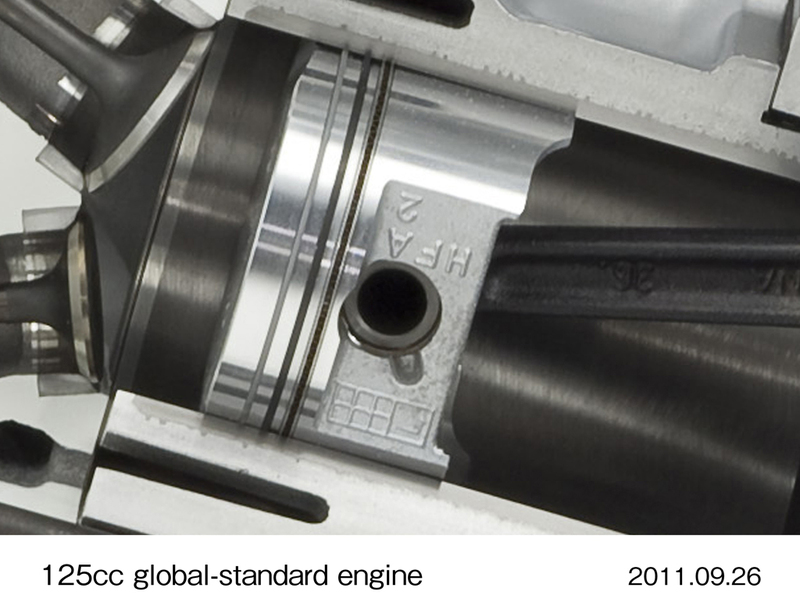 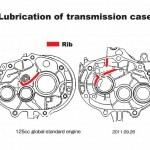 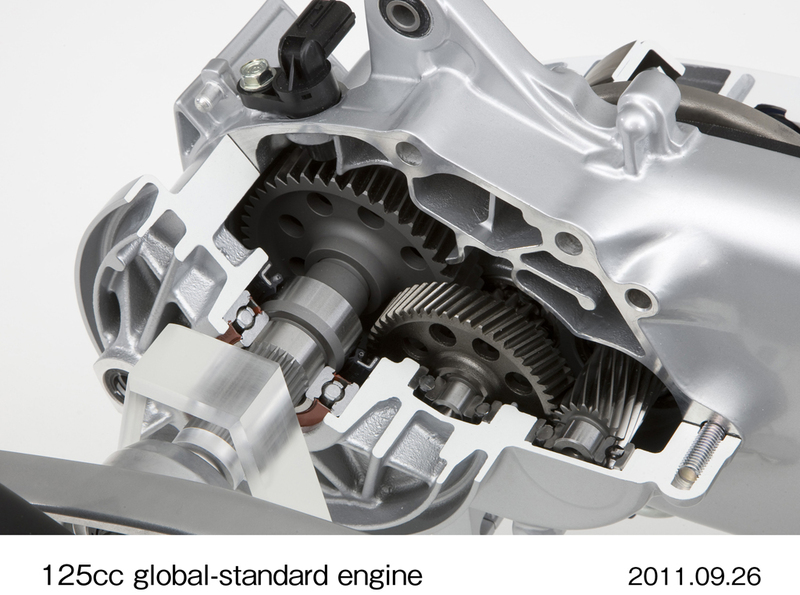 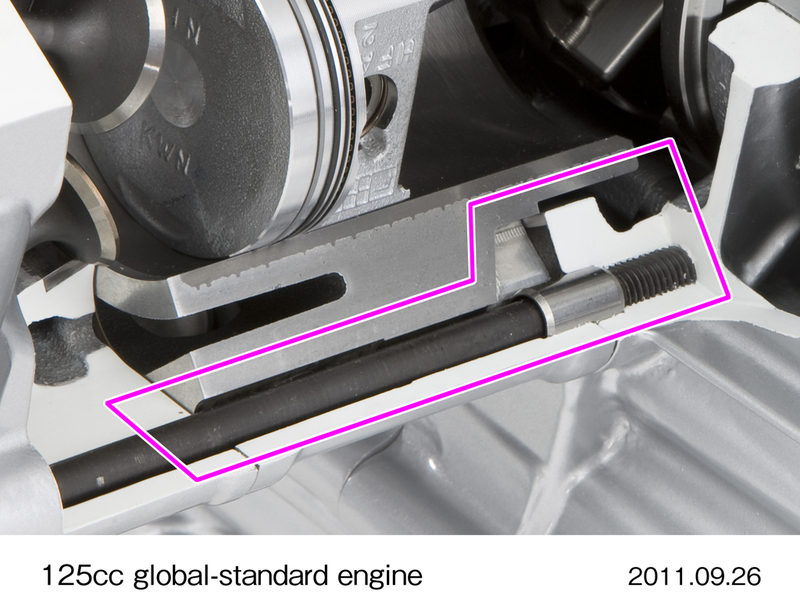 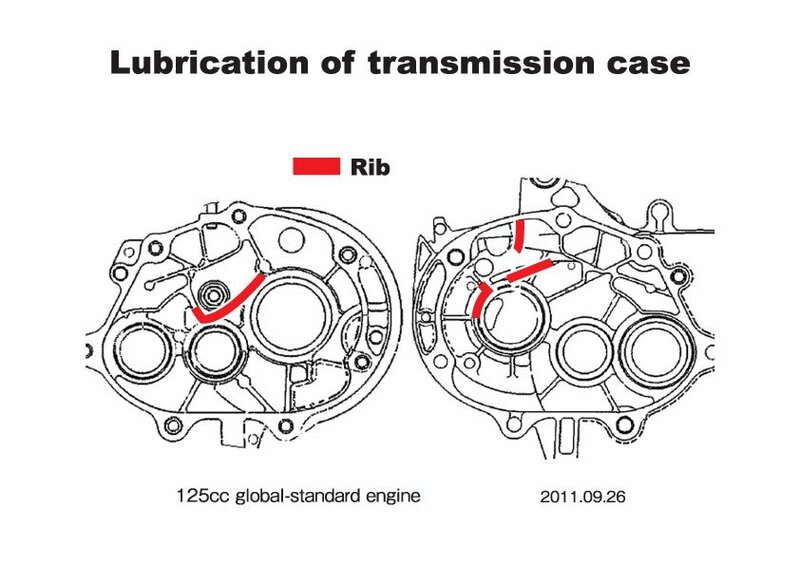 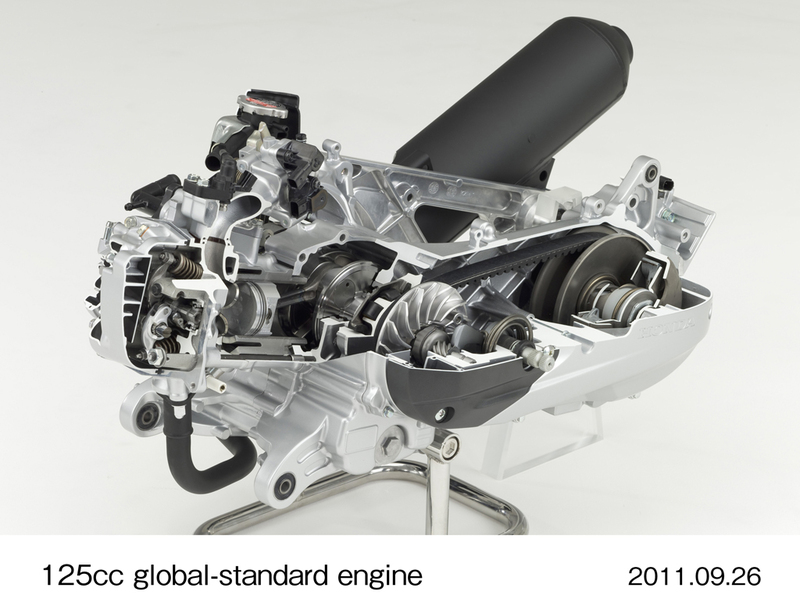 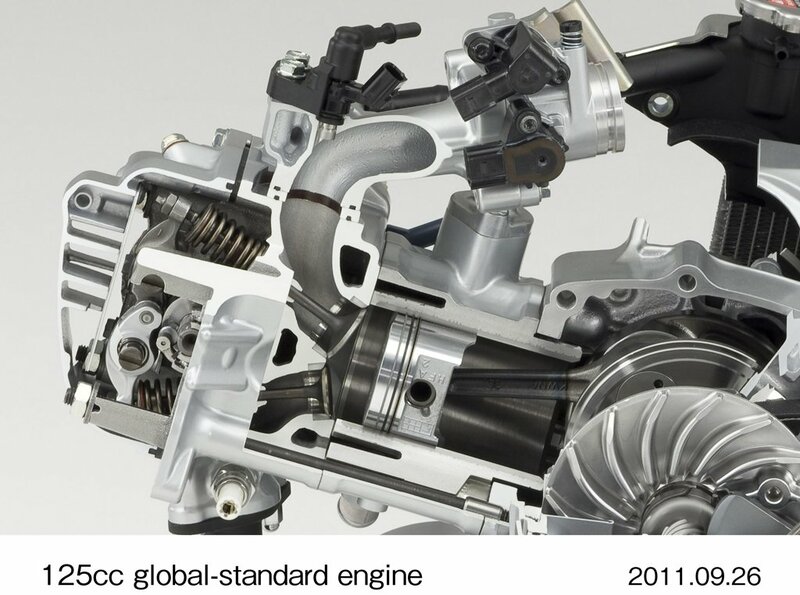 Modifications to the transmission case allowed Honda to reduce the transmission oil capacity by 25% compared to other similar engines. 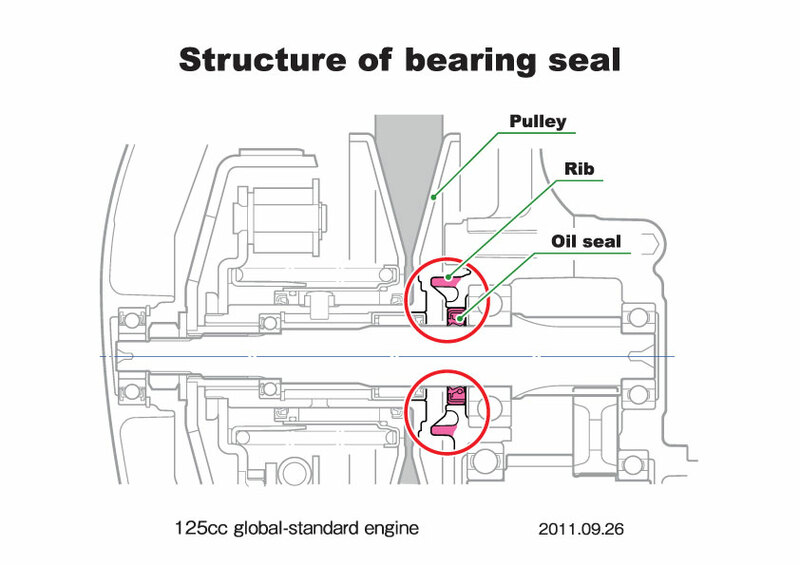 Bearings on the three axes in the transmission are also each designed specifically for its intended load, decreasing rolling resistance. 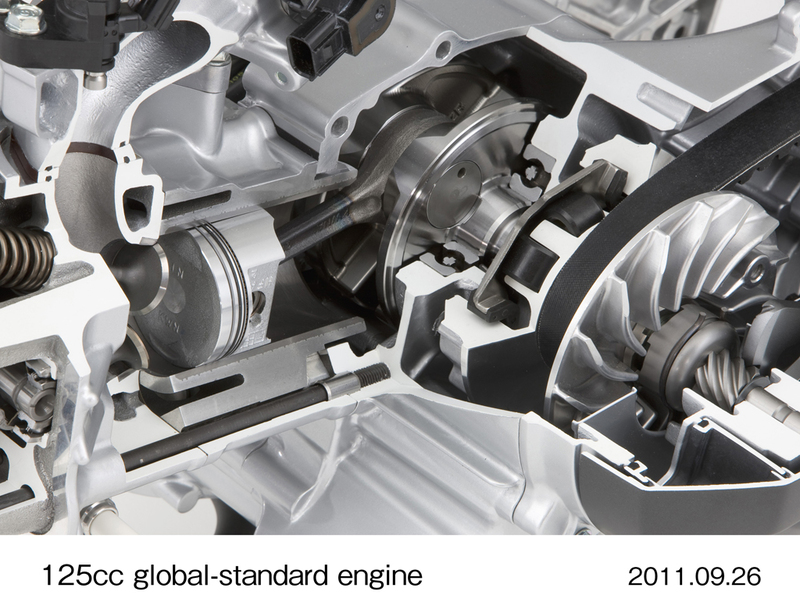 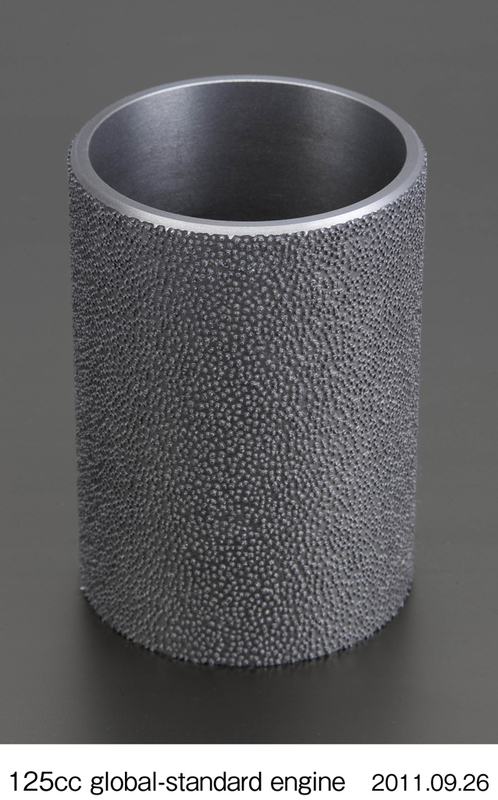 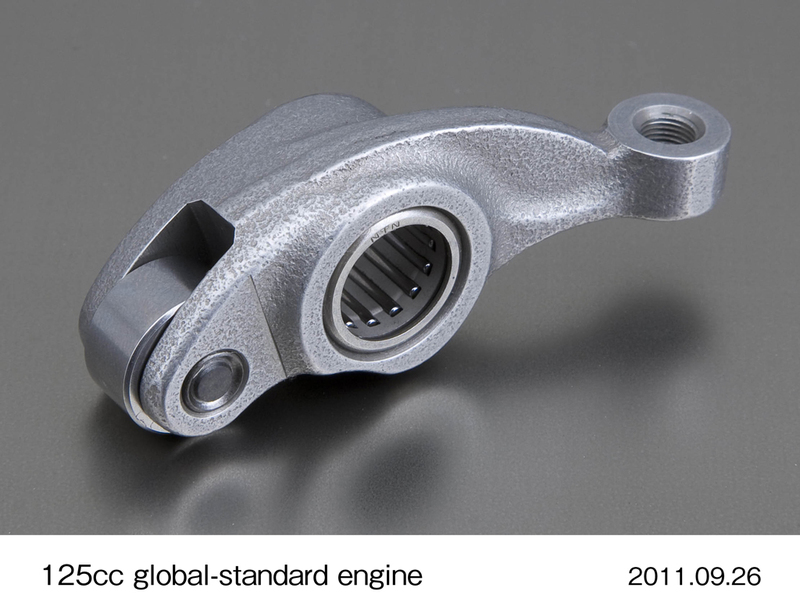 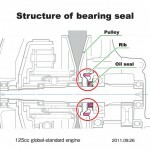 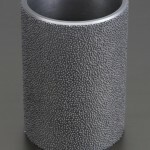 According to Honda, the bearings reduce friction by approximately 20% when running at about 30 mph.